Since 2012, Angel’s Envy has also offered a limited edition Cask Strength annual release. Like the regular offering, Cask Strength is aged traditionally in new charred oak casks then placed in port barrels for finishing to impart extra flavors. Unlike the standard variety, the Cask Strength isn’t proofed down, meaning each year the proof is different. The 2017 version is 124.5-proof (62.25% ABV), which is hearty though slightly lower than recent editions. The bourbon is a deep copper color. The nose is an eye-opening combination of leather, black tea, charred oak, and dried cherries. The palate features more charred barrel, dried herbs, spiced almonds, and hints of orange peel, banana, and clove. Over the years, Angel’s Envy Cask Strength has become increasingly spicy and more wood dominant. Whether that’s the result of more barrel time or something else entirely is impossible to say since the age isn’t disclosed. But if wood is your style then the 2017 version will hit the spot. Personally, in terms of bourbon I actually have a chance to find at retail prices, this is one of the best every year. Speaking of price, Angel’s Envy Cask Strength 2017 sells for $199. It’s a lot by some measures, and hardly the best value in bourbon, but it isn’t outrageous. In fact, at a time when many limited edition bourbons sell on the gray market for many multiples of their suggested retail price, it is the rare limited release bourbon that neither lingers on shelves nor is frequently resold for more than retail price. I suppose that’s the market’s way of saying it is priced appropriately. 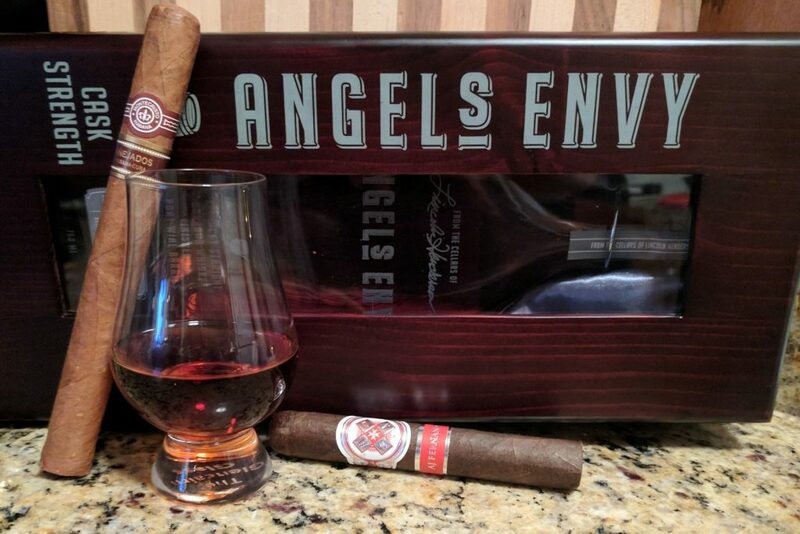 For cigar pairings, Angel’s Envy Cask Strength 2017’s spice and wood necessitate a full-flavored smoke. I’d go with a full-bodied Nicaraguan cigar like the Curivari Buenaventura, Tatuaje Broadleaf Collection, or Illusione Garagiste.